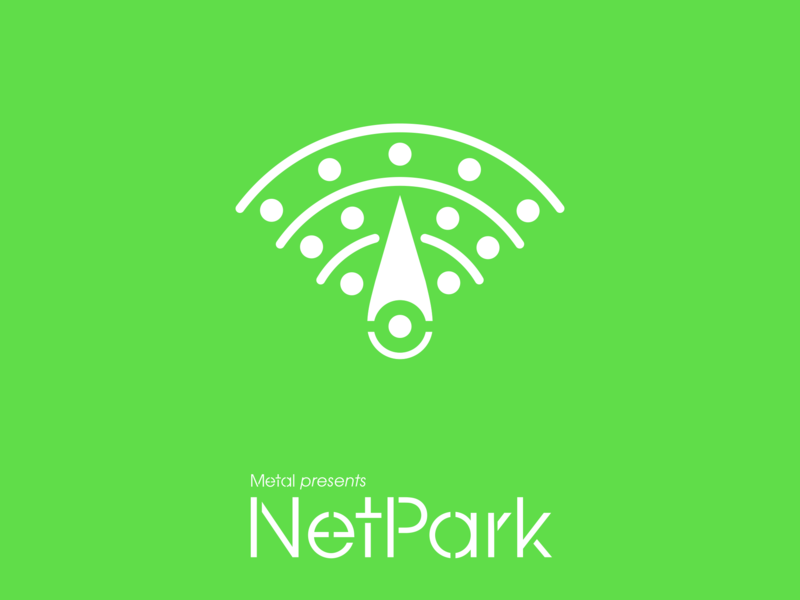 NetPark is the World’s first Digital Art Park and a new, permanent visitor attraction for Southend. Fifteen engaging and playful artworks and stories take you different journeys around the park that are in turn, surprising, funny, informative and thought-provoking. Designed for a variety of audiences, the range of works ensures that there is something to enchant all ages and allows for a shared experience or individual contemplation. All the works are GPS located and experienced through a smart device, either iPad, iPhone or Android. All are best experienced with a set of headphones. 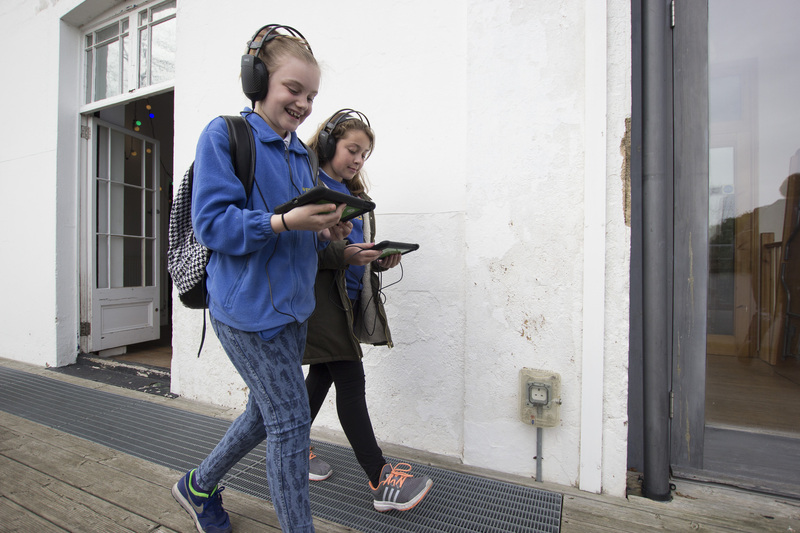 The collection includes artworks created by artists and five site-specific stories created by Southend school pupils working with writers and illustrators. 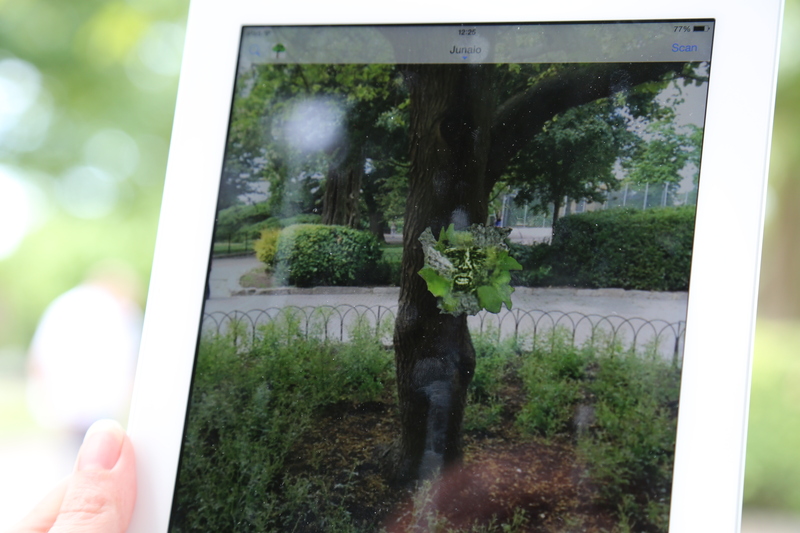 We recommend – to save time in the Park – that you choose and download the Artwork APPs before your visit, here. 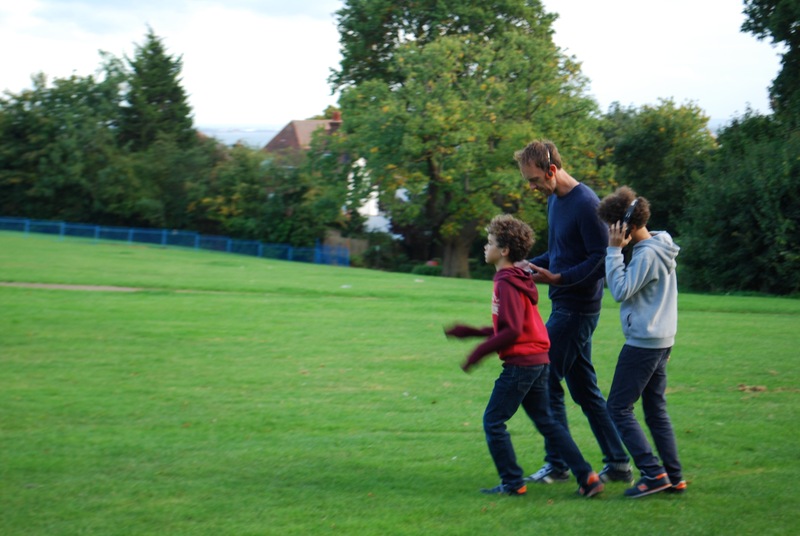 Matmos: Site-specific music created from original sounds recorded from the everyday park life. Rosie Poebright: Running To Flight – a processional work explores your physical and emotional responses to the landscape. 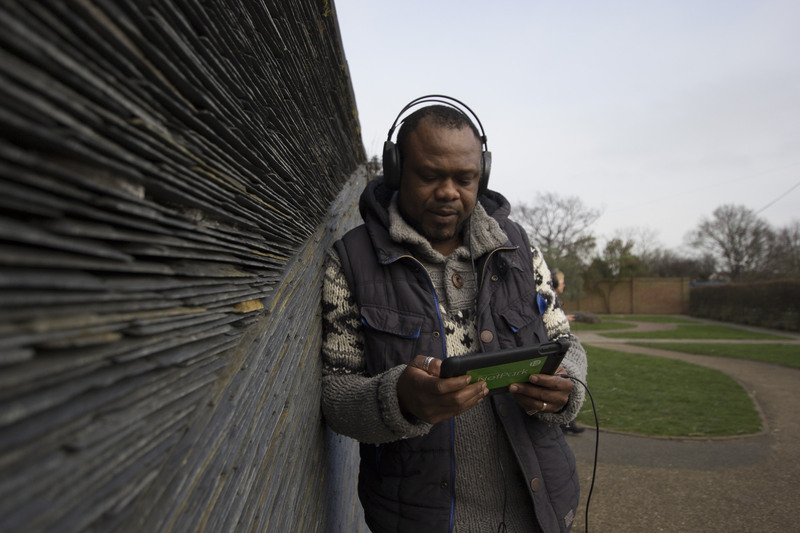 Mark Grist and MC Mixy: Spoken word poetry tours, including the love story of a couple growing up in and around Chalkwell Park. The Disappearing Spell written by pupils from Chalkwell Hall Junior School, working with writer, Lucy Sheerman and illustrator, Maggie Li. Witch Quest written by pupils from St Georges School, working with writer, Vahni Capildeo and illustrator, Maddy Vian. Scentopia written by pupils from Thorpe Greenways Junior School, working with writer, Syd Moore and illustrator, Karl Lawson. Cake Work written by pupils from Milton Hall Junior School, working with writer, Jeremy Hardingham and illustrator, Zoe Barker. Hello, Friend Monster written by pupils from Westborough School, working with writer, Vahni Capildeo and illustrator, Claire Softley. Two new artworks have recently been added to the NetPark collection, in June 2017. 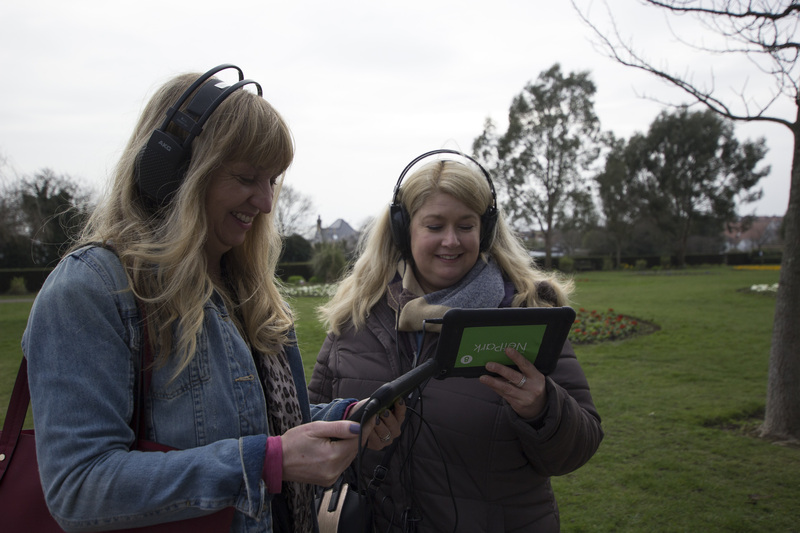 Both audio works, Spiky Black by Amanda Loomes and Alison Carlier, created in response to the historic Rose Garden and the punk gardener who tends them, takes listeners on an abstracted but informative exploration of how roses are bred, grown and named – all set to a fantastic soundtrack. The second work, Woodland, by French and Mottershead is a contemplative piece that asks listeners to find the shade of a big tree, lie down (perfect activity for a hot day) and go on a poetic audio odyssey spanning 1000 years to explore how the afterlife of a human body is part of the natural life cycle of the earth. NetPark is open all year round, with free public wifi across the park. 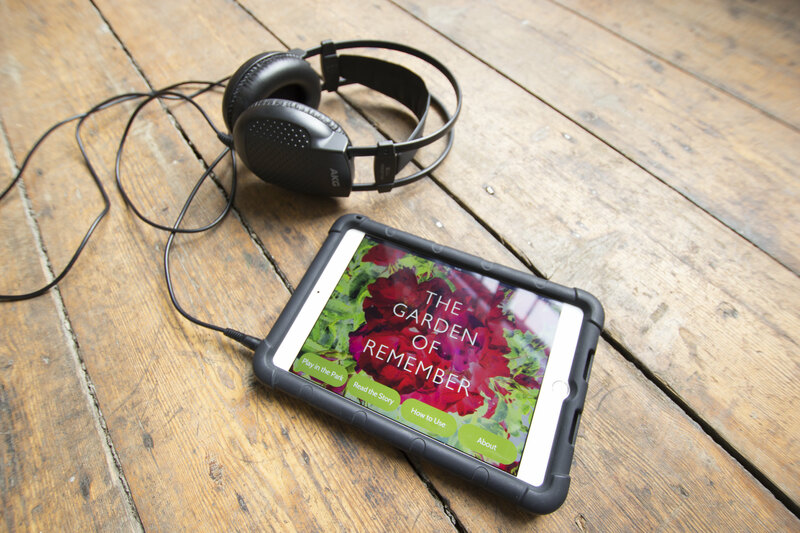 The works are available to anyone through smartphones (Android or iOS) or iPads. A number of innovative accompanying NetPark projects are underway in partnership with Southend Borough Council public health team. 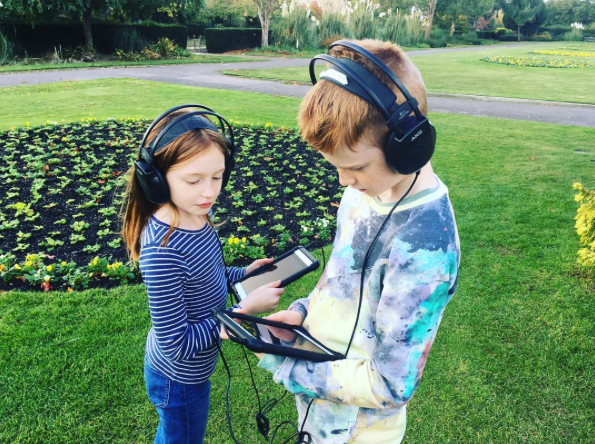 The Wellbeing Project is exploring how digital arts in an outdoor setting can improve mental health and well-being; the Dementia Project is working with digital arts to capture stories and memories and promote awareness. 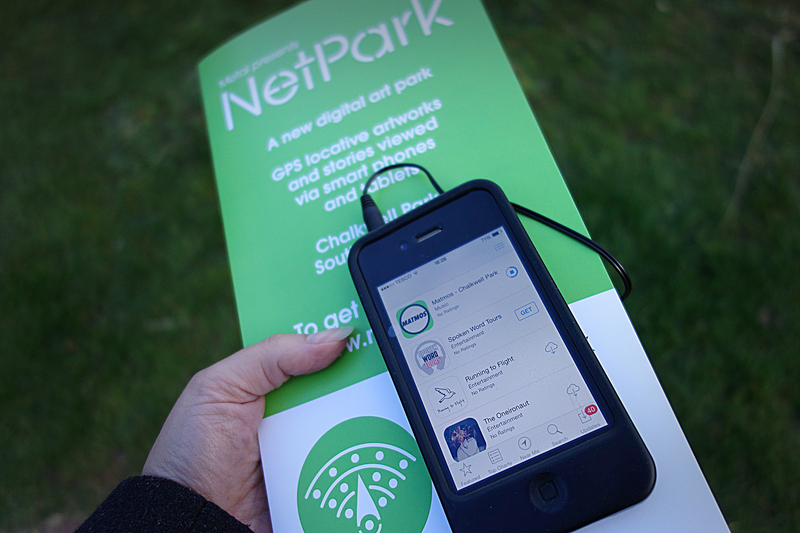 A new digital park logo to indicate public green space with open wi-fi was developed as part of the NetPark project. Designed by Malcolm Garrett of Images&Co, a British designer with a worldwide reputation in culture and identity, known for his work in the music industry in the 80’s with bands such as Duran Duran and Simple Minds.